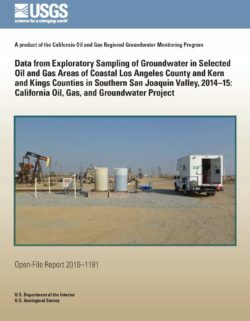 The Central Coast Groundwater Coalition (CCGC) is a third-party cooperative groundwater monitoring program that was established for landowners/operators in the Central Coast region as an alternative to the individual groundwater monitoring program. The cooperative program collects and synthesizes groundwater monitoring data on behalf of its members to fulfill requirements of the Irrigated Lands Regulatory Program. 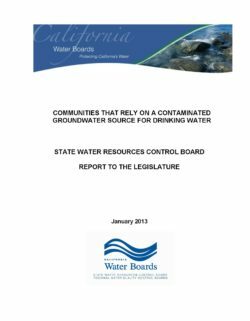 The Central Coast Regional Water Quality Control Board required that the CCGC characterize groundwater quality in the uppermost aquifer and identify and evaluate groundwater used for drinking water purposes. 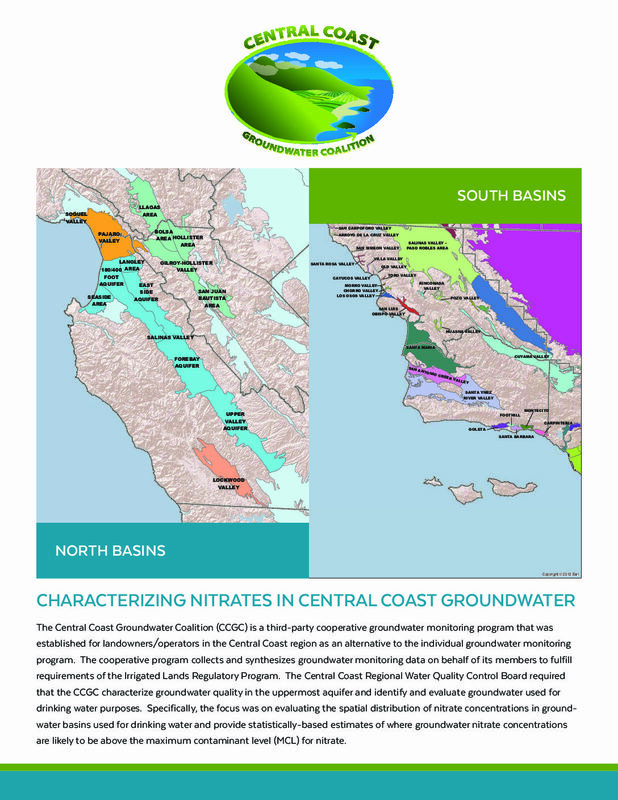 Specifically, the focus was on evaluating the spatial distribution of nitrate concentrations in ground- water basins used for drinking water and provide statistically-based estimates of where groundwater nitrate concentrations are likely to be above the maximum contaminant level (MCL) for nitrate. 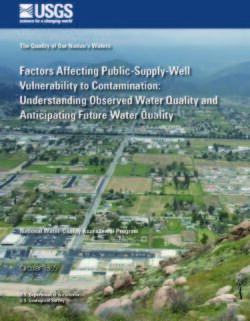 Groundwater quality in the Monterey–Salinas Valley Public-Supply and Shallow Aquifer Systems was investigated by the GAMA-PBP. 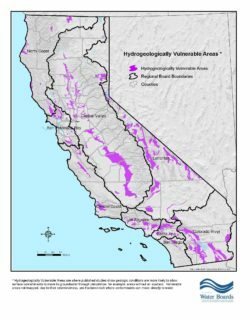 The Monterey–Salinas Valley Public-Supply Aquifer System study unit (MS-PA) initially was assessed in 2005 (Kulongoski and Belitz, 2011). 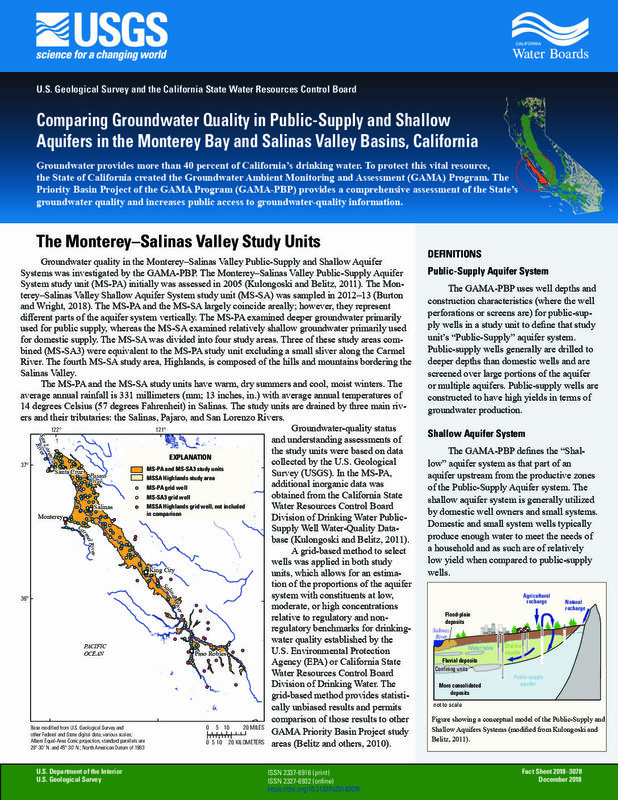 The Mon-terey–Salinas Valley Shallow Aquifer System study unit (MS-SA) was sampled in 2012–13 (Burton and Wright, 2018). The MS-PA and the MS-SA largely coincide areally; however, they represent different parts of the aquifer system vertically. The MS-PA examined deeper groundwater primarily used for public supply, whereas the MS-SA examined relatively shallow groundwater primarily used for domestic supply. The MS-SA was divided into four study areas. Three of these study areas combined (MS-SA3) were equivalent to the MS-PA study unit excluding a small sliver along the Carmel River. The fourth MS-SA study area, Highlands, is composed of the hills and mountains bordering the Salinas Valley. The MS-PA and the MS-SA study units have warm, dry summers and cool, moist winters. The average annual rainfall is 331 millimeters (mm; 13 inches, in.) with average annual temperatures of14 degrees Celsius (57 degrees Fahrenheit) in Salinas. The study units are drained by three main rivers and their tributaries: the Salinas, Pajaro, and San Lorenzo Rivers. 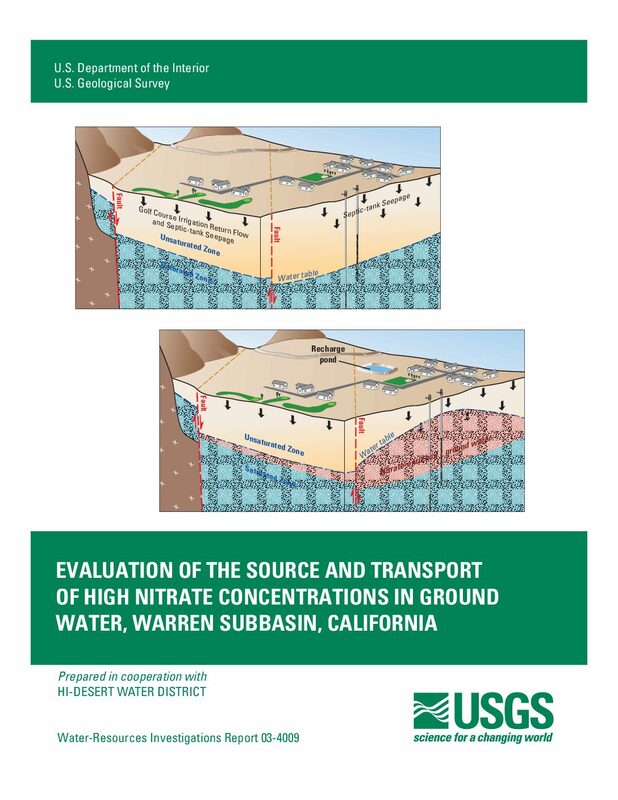 Groundwater quality status and understanding assessments of the study units were based on data collected by the U.S. Geological Survey (USGS). In the MS-PA, additional inorganic data was obtained from the California State Water Resources Control BoardDivision of Drinking Water Public- Supply Well Water-Quality Database (Kulongoski and Belitz, 2011). 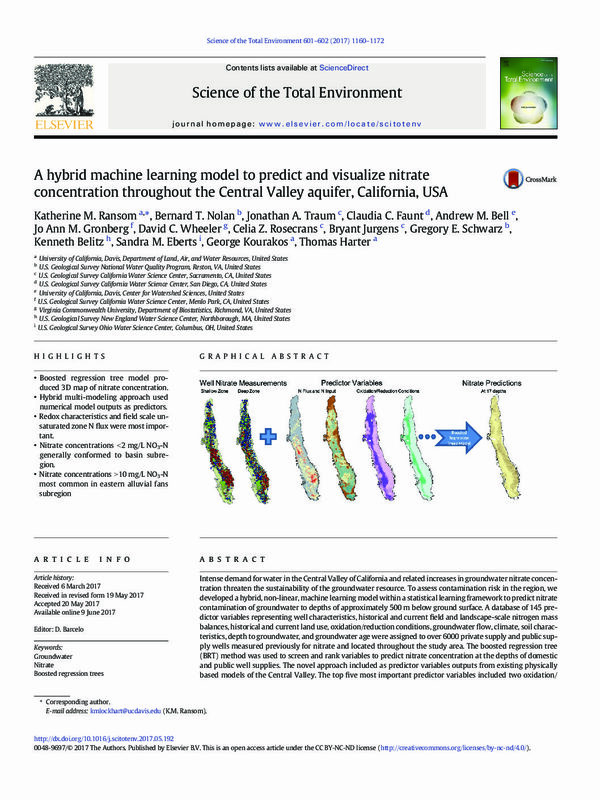 A grid-based method to select wells was applied in both study units, which allows for an estimation of the proportions of the aquifer system with constituents at low, moderate, or high concentrations relative to regulatory and non- regulatory benchmarks for drinking-water quality established by the U.S. Environmental Protection Agency (EPA) or California State Water Resources Control Board Division of Drinking Water. The grid-based method provides statistically unbiased results and permits comparison of those results to other GAMA Priority Basin Project study areas (Belitz and others, 2010). 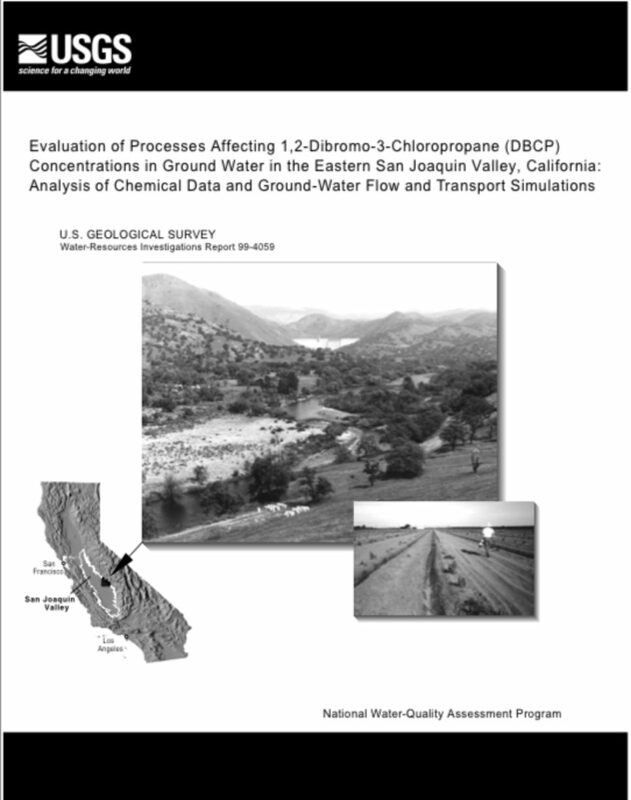 Future use of the sole-source aquifer near Fresno in the eastern San Joaquin Valley, California, will depend, in part, on how long 1,2-dibromo-3-chloropropane (DBCP), an agricultural fumigant banned from use since the late 1970’s, persists at concentrations greater than the maximum contaminant level of 0.2 micrograms per liter (?g/L). Field data indicate that DBCP concentrations in ground water have decreased since the late 1970’s. Laboratory experiments by earlier investigators show that DBCP transformed to 2-bromoallyl alcohol (BAA) under conditions similar to in situ conditions, with an estimated half-life ranging from 6.1 (pH 7.8, 21.1 degrees Celsius) to 141 years (pH 7.0, 15 degrees Celsius). For this current study, a detailed hydrogeologic investigation was done to assess the relative importance of chemical transformation, dispersion, and ground-water pumping and reapplication of irrigation water in affecting DBCP concentrations. Groundwater samples were collected from 20 monitoring wells installed along a 4.6- kilometer transect. DBCP concentrations in these samples ranged from less than the detection limit of 0.03 g/L to a maximum of 6.4 g/L. Results of chlorofluorocarbon (CFC) age dating indicate that DBCP occurs in water that ranges in age from about 2 to 41 years. The primary transformation product BAA, which was identified during previous laboratory studies, was not detected at or greater than 0.03 g/L in any of the 20 ground- water samples. The lack of detection of BAA indicates that transformation to BAA is insignificant relative to other processes controlling DBCP concentrations. Results from this current study indicate that the in situ hydrolysis half-life for DBCP to BAA is much greater than the laboratory-determined values. 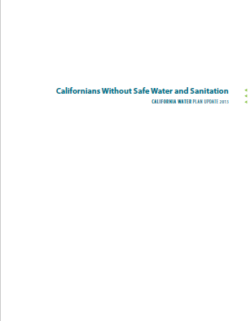 •Septage from septic tanks was the primary source of NO3 to the ground-water system. •Rising ground-water levels, resulting from the artificial-recharge program, entrained high-NO3 septage stored in the unsaturated zone. •The potential for ground-water contamination should be evaluated before beginning an artificial- recharge program in an area that uses septic tanks.